The wait is finally over, the borders are open and El Presidente welcomes you to visit the island paradise of Tropico. 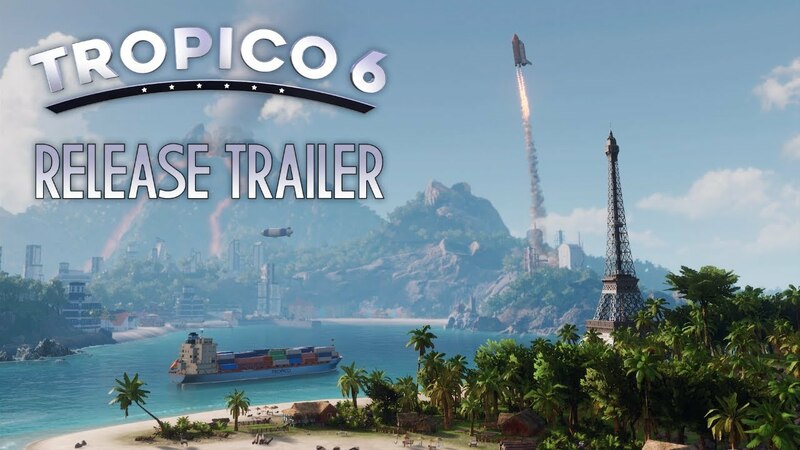 Kalypso Media and Limbic Entertainment are thrilled to announce that Tropico 6, the latest instalment in the critically acclaimed Tropico franchise, launches today globally for Windows PC and Linux (with the Mac version following soon). With Penultimo busy grooming prize llama Hector for the Presidential parade to celebrate Tropico 6’s glorious launch, the loyal citizens over at Kalypso HQ have been busily editing El Presidente’s welcome trailer for your enjoyment. So click on the links below and take a sun-drenched trip along Tropico’s beautiful sandy beaches and almost dormant volcanos (there’s only a 65% chance of an eruption in the coming weeks) by clicking on the links below. Tropico 6 is released globally via digital platforms today for Windows PC and Linux (Mac to follow soon) and as a boxed retail edition across UK, Europe and export territories with the North American boxed edition releasing on 2nd April. Console versions are set to follow in summer 2019 on PlayStation®4 and Xbox One.